We all want the best versions of ourselves. Although for some it may come easier, more naturally, and or with thousands of dollars of laser treatments. We cannot forget that beauty regardless of your “starting point” starts from within. Why is Hum more successful than biotin supplements? There is more to beauty than just caring for your hair, skin, and nails as it says on most pink vitamin bottles! The human body (especially when it comes to us ladies) has so many components and hormones that are constantly changing things. There is not just one quick fix, and that is where Hum comes into play. Beauty starts from within, and that is what Hum is all about. If you didn’t already know, biotin C10H16N2O3S is the main ingredient in vitamins labeled to help improve the quality of your skin and hair. But we all know that there are so many different lifestyle and genetic factors that play into skincare. I personally have looked into this multiple times because I still get acne at the age of 23, have very oily skin, and bleach my hair. I realized that just biotin would not be the only aid to fully clear up my skin, and wanted to find something more. For myself the right fit was Red Carpet & Daily Cleanse. 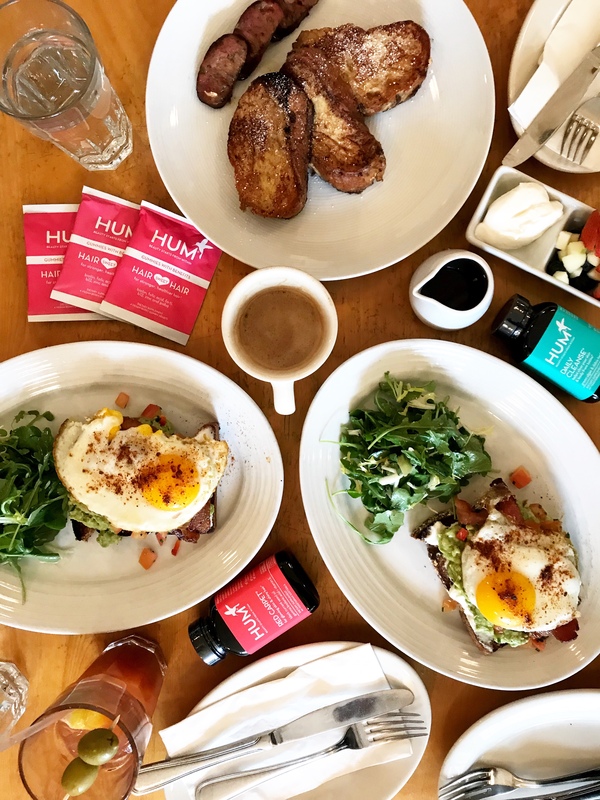 Hum has a variety of vitamins that can target anything from hair and skin, detoxing, aging, nutrients needed, problem areas such a dark circles, sleeping aid, fat burners, if you are exposed to toxins such a smoke, to keep yourself calm, energy boosters, superfood powders, and so much more! With all of these choices how do you know what to choose? There is a quick and easy three minutes quiz to help find what is right for you! If you still are not convinced, there are even nutritionists that you can speak with. Where can I try this out? You may have already seen these in a Sephora store or Sephora.com! The thing to always consider is that no supplement works overnight! Give them time and drink lots of water! I’ve been seeing an improvement in my skin while taking these, drinking 5-6 water bottles a day, and working out regularly.